Kerala, God's own country, is known for its greenery. What can be more fitting compliment to this visual experience but a culinary experience like Kerala Special Vegetable Stew. An array of vegetables like carrots, peas, beans , potatoes are cooked in coconut milk. You can extract fresh coconut milk or use the ready made ones. They are mildly flavoured with Kerala's authentic spices. One does not need too many ingredients to prepare this delicacy. The stew is often served with appams and idiappams. This is a gluten free and vegan dish with international appeal. This extremely popular dish is a must try ! 1. Wash and steam the vegetables (including onion) till they are fork tender. 2. Heat a wide pan with coconut oil and temper with the whole spices and curry leaves. 3. Now add the grated ginger and garlic and saute' for 20 seconds only. 4. Add the steamed vegetables and the thin coconut milk. 5. Cook covered over low flame for 5-7 minutes. 6. Add the thick coconut milk , stir to mix and switch off. 7. Add salt and serve along with your hot appams and idiappams. 1. Steaming the vegetables before hand helps to reduce the cooking time and your stew is ready in minutes. 2. Steam for approximately 10 minutes only to retain their colour. 3. 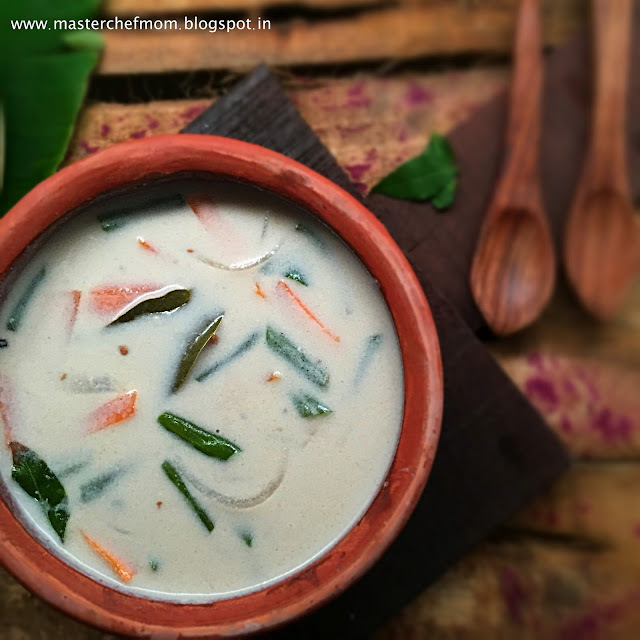 You can alternatively cook the vegetables in thin coconut milk, in which case you can increase the quantity of thin coconut milk given above. 4. If you want your stew to be more spicy, you can coarsely grind the peppercorns. 5. Using fresh whole spices and fresh coconut gives the stew it's authentic taste. 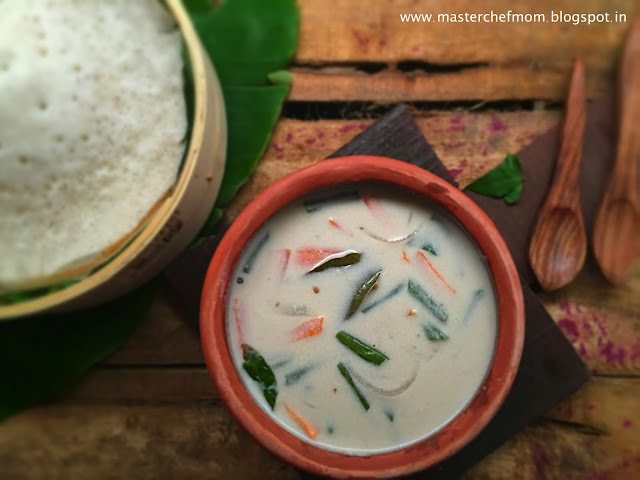 Here is the fool proof recipe to make appams. You can serve appams with stew and coconut milk.